Video has been around long enough now that people have cottoned on to it being a great tool for business. Every day, I see more and more people getting in front of the camera to share their stories and expertise. And every day, there’s an increase in below average videos being posted across the interwebs. Today, I’m joined with Ben Amos to help you combat the battle of the average. Ben we’ll explore why Video strategy is the game changer and how you can use one to stand out from the masses. This episode is proudly sponsored by Ahrefs which offers tools to grow your search traffic, research your competitors and monitor your niche.Ahrefs helps you learn why your competitors rank so high and what you need to do to outrank them. 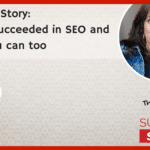 If you like what you’re hearing on The Recipe for SEO Success Show, support the show by taking a few seconds to leave a rating and/or comment on iTunes, SoundCloud or Stitcher. Thanks! And big thanks to CoolSanJose for his lovely review. 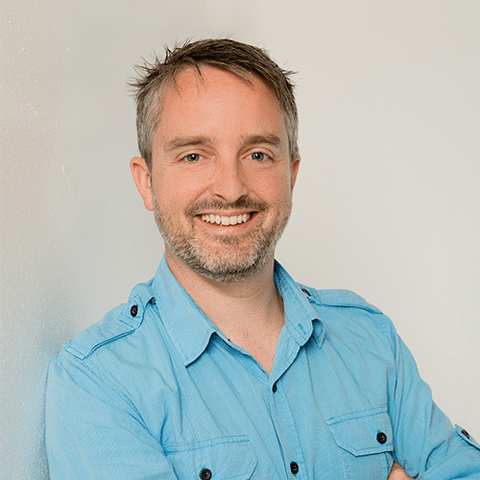 Ben is a passionate online video strategist, entrepreneur, video producer, speaker and educator working with savvy brands across Australia and the world to connect them to their ideal audiences through effective online video marketing. He is the Owner and Creative Director of Innovate Media, an online video strategy and production agency based out of the Sunshine Coast, Australia. As host of the Engage Video Marketing Podcast, and creator of the Online Video Strategy Blueprint Ben’s mission is to help other creatives, marketers, entrepreneurs and video producers better understand how to attract, engage and convert audiences online with video. At the heart of it all, Ben believes that effective online video content has strategy at its core. As content producers, marketers or business owners we must rise up against the ‘avalanche of average’ video content surrounding digital audiences today and deploy video strategically, deliberately and creatively across platforms for maximum results. Behind this, Ben’s a proud Dad of two daughters, a family guy and an adventurous Aussie who loves building sandcastles with his kids at any of the beautiful beaches of his home town on the Sunshine Coast, Australia. Kate Toon: Video has been around long enough now that people have cottoned on to it being a great tool for business. Every day I see more and more people getting in front of the camera to share their stories and expertise, and every day there’s an increase in below average videos being posted across the interwebs. Today, I’m joined by Ben Amos who’s going to help combat the battle of the average. Ben will explore why video strategy is the game changer, and how you can use one to stand out from the masses. 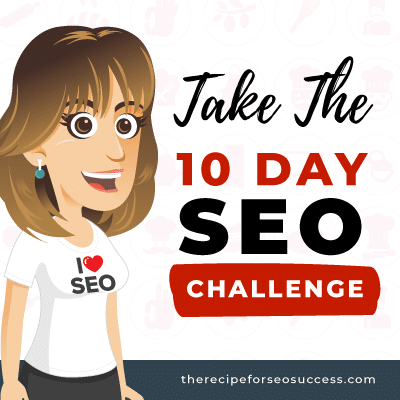 Hello, my name is Kate Toon and I’m the head chef here at the Recipe for SEO Success, an online learning hub for all things related to search engine optimization, and I love SEO. Today, I’m talking with Ben Amos. Hello, Ben. Kate Toon: How the devil are you? Ben Amos: Very well today, thanks. How are you? Kate Toon: I’m good. We’re both a little bit frazzled. We both rushed back from school pick up. That’s the reality of being a parent … I think it’s a parentpreneur. Is that the expression? Ben Amos: We’ll take that. Let’s use that one. Kate Toon: Let’s use that one. It’s kind of cheesy, but hey. So let’s just explain who you are. I’m going to read out your bio now, and it’s little bit long, people, so get a cup of tea, because he’s done a lot of things. 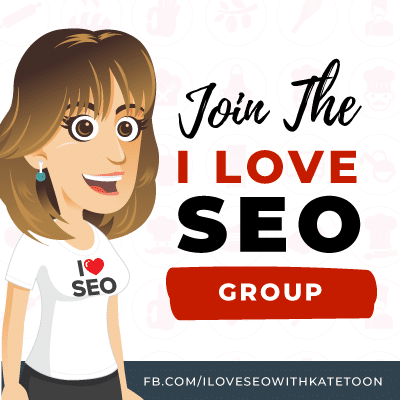 Kate Toon: Ben is a passionate online video strategist, entrepreneur, video producer, speaker, and educator working with savvy brands across Australia and the world to connect them to their ideal audiences through effective online video marketing. He’s the owner and creative director of Innovate Media, an online video strategy and production agency, based on the beautiful Sunshine Coast in Australia. 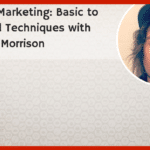 As host of the Engage Video Marketing podcast and creator of the online video strategy blueprint, Ben’s mission is to help other creatives, marketers, entrepreneurs, video producers, and all sorts of other people better understand how to attract, engage, and convert audiences online with video. At the heart of it all, Ben believes that effective online video content has strategy at its core. As content producers we must rise up against the avalanche of average video content surrounding digital audiences today, and deploy videos strategically, deliberately, and creatively across platforms for maximum results. Kate Toon: Now, that is a long bio, Ben. Can you sum it up in one line? Ben Amos: Yeah. Yeah, absolutely. Look, my mission is just to make people, or help people do better video by using strategy first and content production second. Kate Toon: It’s so important. Ben and I have chatted about this already, and he’s given me a bit of a light bulb moment, so I’m hoping by the end of this episode you’re going to have a light bulb moment, because he’s actually change the whole way I’ve been thinking about my video, which I needed to do. It’s long overdue. We met at a conference last year called Click, Engage, Convert, which was fabulous, and I saw you give a presentation on video strategy. I must admit that I’m kind of a strategy, [smategy 00:03:04] person. I don’t believe in strategy, I’m just like, let’s do whatever. But as I said, you’ve converted me. Strategy is everything. This is basically the ethos of this episode, isn’t it? Ben Amos: Yeah, absolutely. Strategy is basically what should be behind everything that you do. It’s like the roadmap. You can’t get in a car without knowing where you’re going to go. Whether you use a documented strategy like your GPS or whether you just know where you go because you’ve thought it through before and you’ve got a direction in mind, you’ve got an end goal … Exactly the the same with content marketing or video marketing. The strategy is simply the plan that needs to be implemented in order to get somewhere with the content that you’re creating, and that’s I guess at its simplest form. Kate Toon: I love that, and I love that the analogy totally doesn’t work for me, because (a) I can’t drive, and (b) I’m the sort of person that would just get in a car and see where I end up, and make the most of it. But anyway, moving on. I think before we get into strategy the truth is that most people don’t even want to make videos at all. They’re frightened of how they look, they’re worried that they’re going to look a fool, that it’s too much effort. How do we get people over the hump of not wanting to make videos at all? Ben Amos: Well really what it comes down to is deciding on what needle you need to move in your business. This is coming back to strategy, right? But you need to be thinking about who are the people that you want to impact and how do you want to impact them in order to move them to take some sort of action that’s going to lead to some sort of a result for your business? That’s why we’re in business. We want to engage the customers who are going to eventually buy from us, and therefore grow our business. That’s what’s at the heart of it. Then you need to think, who are those people and how do I want to show up for them? Often in many cases using digital platforms, video is one of the most effective and engaging ways to show up for those people in a way that they can relate to you as a business owner, as an expert, as a thought leader, as someone who can help them achieve something. So basically they’re going to then move on that journey with you to eventually buy from you. Ben Amos: Now, video’s not the only form of content that you’ll be creating in your business and that you should be creating, but it’s increasingly a more important form of content to be considering if you are engaging on digital channels. How to get over the hump of not wanting to do videos at all that so many business owners face, it comes down to really getting clear on who that audience is that you want to move and how you want to move them to take the right sort of action. Often the result of that decision making is, I need to be doing video. But people get overwhelmed. I’m sure we’ll get into this around overwhelmed with the technical aspects like what camera to use, how do I set it up, what about lighting, how do I make sure I look and sound good? All that sort of stuff that people, the barriers they put up themselves to doing video, and that’s where strategy is so important, because with the strategy in place first you know why you’re doing what you’re doing, so that your content production or your attempts at doing video are not all over the shop and haphazardly trying this and trying that. Then you’re going to be more directed and targeted at the kinds of content you’re going to be creating, whether it be video or otherwise. Kate Toon: Yeah, so we’ll dig into the tech stuff and some of the other stuff later on in the episode, but I think you’ve hit on a few things there. I think haphazard is the word that pops out, and I would say that I’m a haphazard video maker, so I just don’t have a strategy. I often think what a great idea it would be if I sat down and made a list of all the videos I’d like to make, all the questions I get asked all the time, all the touchpoints in my CRM process where a video would really help, because I’m a huge believer that video is the way to really build a personal brand, and I’m all about personal brand and building that authority and trust. But I just need to make the goddamn list, and I think that’s where a lot of people struggle. How do you come up with good video ideas? You’ve decided you want to make video and you think it’s going to move the needle. How do I make a good list? Where do I start? Ben Amos: Yeah, what I’m really strongly fighting against in this world of video marketing is video for video’s sake. The decision making you’re going to there, Kate, is probably a similar process that so many in business are going through, which is starting to think about, okay, I need to do video so what videos should I make? Then they start making lists about topics or things they can make video about. But what that tends to be is video for video’s sake, so it’s just adding to the noise. In my bio I talk about that avalanche of average content that’s out there, so that’s not going to do anyone justice. That’s not going to actually get a result for your business. 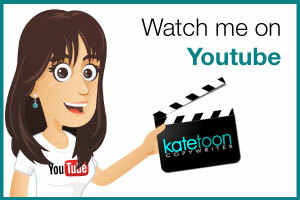 Kate Toon: I will say that my videos are way above average. They’re haphazard but they’re not … No, carry on. Sorry. Ben Amos: Yeah, and the question here is not to do with production quality or how much you invest in your videos. If you’re doing video just for the sake of doing video without a plan behind it, and a plan needs to be more than just a list of content ideas. Your plan needs to be starting first with identifying and understanding who that audience is, what goals you want to achieve for your business, what do you need to actually do to move the needle in the right direction for your business, and then from that you should be deciding on content ideas, and then from that you need to be then deciding on what’s the distribution channels that I need to use to get out to these people? Where am I going to put this video? How am I going to optimise it for search but also for audiences? How am I going to measure the results? What metrics am I going to pay attention to? Ben Amos: From there, all of those decisions that you make around those different aspects should inform how you actually make the video: whether you invest in hiring a video production company or you do it on Facebook live or you film it out and about in a park as you’re riding your pushbike or whether you do it in your bathtub. I don’t know. Whatever the production decisions are needs to come from all those other decisions about who you’re trying to reach and the goals you’re trying to move in your business. 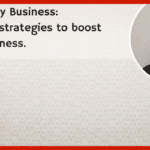 That’s what a strategy is at its core. You don’t just want to be applying videos tactically. Ben Amos: There’s actually a really good quote that I’ll throw in here which is by a guy called Sun Tsu who wrote a book called the Art of War, which is about warfare in ancient China 500 years before Christ. But equally, it’s equally valuable in marketing strategy today. The quote that I love to throw out there is that strategy without tactics is the slowest route to victory. Tactics without strategy is the noise before defeat. The problem is for so many people, they’re approaching video just as a tactic, so they’re putting more and more tactics out there. Without a strategy, those tactics are just noise. But equally so, if you have a great strategy but you don’t actually implement the tactics, so you make a good plan for video but you never make the videos, then it’s a slow route to victory. In fact you’ll probably never get there. That quote even though it’s talking about warfare is awesome. I think it should inform everything that we do. Kate Toon: I love the other Sun Tsu quote, which is that you should make videos in the bath. Is that the one that you wrote a long time ago? Ben Amos: Yes, very famously. Kate Toon: I think it was either him or Abraham Lincoln. One of them said that, I’m not sure. Always read the quotes properly people, because they’re usually not attributed to the right person. So look, I love that. I love the idea of having a plan but also implementing it, because lots of us do one or the other. Let’s have a few examples. The first … Because strategy is all very well and good, but I’m interested to know how they play out. For example, let’s use me as an example. Just get Ben to come up with my video strategy for free! 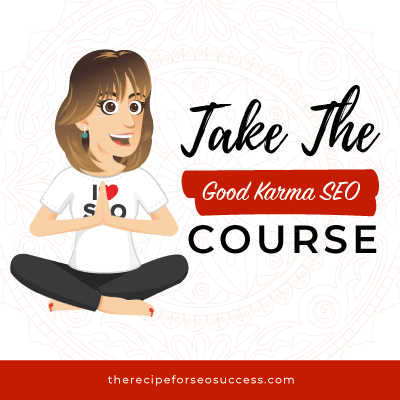 I sell courses and templates and resources, and there is a flow to that where I need to get lots of people in, warm them up, prove my authority and that I’m a bleeding genius when it comes to SEO and then get them over the lines to buy the thing, and some of those things are high value and some of them are low value. At the moment I’ve been focusing a lot on answering questions. People ask me basic stuff and I will jump on Facebook or YouTube and make a three minute video answering that particular question. Then I’ve got a conversion kind of video on my sales page where I’m like, hey, this is an awesome course. That’s kind of all I’ve done. What’s missing from my strategy? Ben Amos: This is whee it’s really important to understand that audience, but importantly understand your audience and the journey that they go on to eventually buy from you. That journey starts well before they’re actually aware of the problem that you can solve. Basically you need to start with this emotional state that people are in where they have a problem. They maybe don’t recognise that they need a solution at this stage, but it always starts from an emotional place. That’s top of the funnel, to use marketing sense there. Because the people who are in your ideal audience demographic or audience avatar that you know who they are, right? But they start that journey that eventually leads them to buy from you at some kind of a trigger or realisation that something they’re unhappy with or they’re struggling with or they’re fearful of, these are all emotional words. That emotional connection is the first place we need to start, and when it comes to video strategy that’s often overlooked. Or, alternatively, that’s the only thing that people are doing. 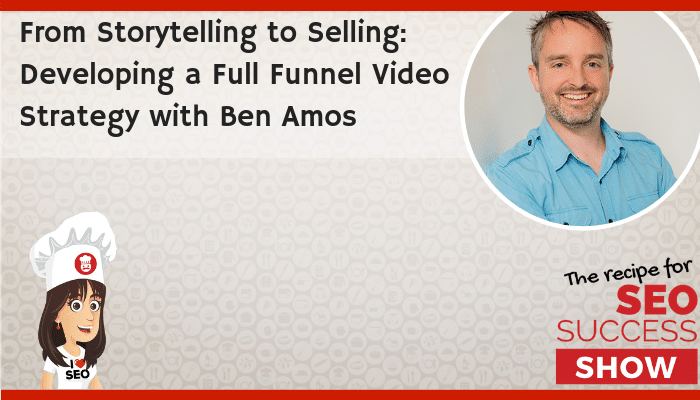 Ben Amos: We can talk about the goal there of brand awareness, so the first goal in a video strategy is creating an emotional connection with your ideal audience that gets people to buy into you before you ask them to buy. What you’re doing currently is that kind of thought leadership content, answering questions, proving how intelligent you are around copywriting and search engine optimization and all that great stuff. That’s great, but people are only going to engage with that when they know they need that sort of information. What I challenge you to think about is what you need first is content that positions who you are and the problem that those people are facing, so that they get to know you and like you. Think of this content from a video point of view, like the first date. On a first date you’re going to, whether it be a blind date or whatever, you’re going to dress nicely, you’re going to tell stories about you. You’re not going to go out and try and impress them by how much you know about a certain topic. That might come later, as you build a relationship with someone, but on the first date you want to just get people to like you and get people to understand that you care. 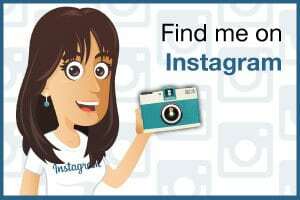 Kate Toon: This is where I’ve been going wrong with my video and my dating! I go straight in there and start talking about SEO in a really ugly outfit. I’ve been going wrong, okay. 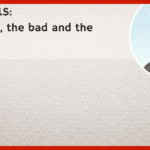 Ben Amos: Maybe I should moonlight as a dating coach as well. Kate Toon: I think you should. I think you should. Ben Amos: Yeah, so it’s that awareness content where people need start, so that brand awareness content is where we tell stories. Storytelling is the type of content that is intrinsically emotional and people engage with it on an emotional level. You’re tapping into a different part of the brain. Effectively what you want to do there is to get people to sit up and pay attention. If you’ve got them sitting up and paying attention then they can move further down the journey with you into that second type of content, which is what you’re currently doing, which I call social engagement content. Social engagement content is social, so it’s all about human to human personal connection, conversations, and engagement is all about, you’re wanting to get people to connect and engage and go on a further journey with you. It’s kind of like the second and third date, maybe meeting the parents, that kind of thing. With that small engagement content that’s where you do need to provide value and information and help people better understand their problem and the solution and lead them towards your conversion content, which is when you need to sell. That’s when you need to be pitching your sale, getting people across the line. Kate Toon: So if we’re using the dating analogy, how would you describe the conversion? Let’s not go there. Conversion content is where we’re trying to get them home with us, yeah? Ben Amos: Yeah. Exactly, but the problem is for most business owners they’re focused on the conversion because that’s where the sale is made. That’s what we’re trying to do in our business, but think about the dating analogy. If you go for the conversion on the first date you’re going to get slapped in the face. Kate Toon: Well, maybe. Depends who you are. With the conversion video I think the types of content that we’re putting in there are things like testimonials and maybe on from stories, or it doesn’t necessarily just need to be our story, it can be a client’s story, a case study. When we get to the conversion video, you talk about really cutting to the chase. Real data, real results, really explaining what the product does and how it’s going to benefit you. Can you expand on that a little bit? Ben Amos: You can have a great sales page listing all the features and benefits and why someone needs to buy this thing and then a price at the bottom of the page and a buy now button. That’s fine, but if you add in this high touch element of video where you actually have a sales person effectively just talking about the features and benefits of this thing in a human way, helping you understand those barriers to sale, or overcome those barriers to sale. Effectively it’s kind of like what a sales person would do in a shop. They’ll let you try it on, they’d open and shut the doors of this thing you’re going to buy. Then you’re more confident making that purchase decision, so those barriers have kind of been pushed aside. That’s what good conversion content is. It does address the rational things that are preventing someone from making that purchase, but if you do that well in a human way through video, then it can get people across the line. 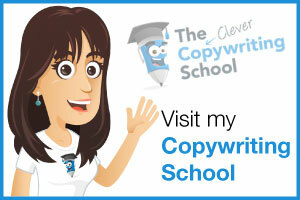 Kate Toon: This is very much the flow of good copywriting as well. Talking about pain points and what problem you’re suffering from then representing yourself as the solution and maybe agitating that problem a little bit first, then present the solution. Then ultimately coming through, talking about the features, the benefits and the advantages. All of which can be done in copy, it’s just video is much more immediate. We’ve talked before about brands that we thought were doing it well, and one of my favourites is an Australian brand called Appliances Online. On their product pages for their high price point goods, we’re talking $2000 washing machines here, they do really great videos showing people opening and shut … How does that door open? What noise does the beep make when it finishes? That beep is important. My fridge has the most annoying beep. I should have watched the video and chosen a different beeping fridge. That’s what finishes it off. I don’t want to go in the shop and see it, so having someone handle the item, getting that sense of scale and all that, is really important. Kate Toon: Even if it’s a digital product, just showing people through what it looks like and how it’s the back end of your course or what the worksheet looks like, it just as you said gets people over those final fears. My attitude is by the time they’ve got to your product page, especially if they’ve come via search, they want to buy. They’re pretty far down the conversion path. They just want to feel good about that purchase. They want to not have buyer’s remorse, so you’re trying to make them feel good about the thing they’re trying to buy, right? Ben Amos: Yeah, absolutely. Another great example, and I think where you can really see the benefit in using conversion video to improve that conversion rate when you’re selling online is … Another great example is Zappo’s, a shoe retailer in the US. Same with white goods and appliances online is, these are the kinds of things that they’re often hard to sell online, because shoes, you want to try them on. You want to see what they look like on you, right? They recognised, Zappo’s did years ago, that this is a potential barrier to actually selling strategically online in the shoe space. What they did is on their individual product pages they’ve got for almost all of their individual product lines, shoes that they have, they’ve got very simply produced videos of someone from their team who fits the demographic of who’s going to buy that shoe just talking about the shoe. They’re holding it up, they’re bending it and flexing it, and then they have the shoe on and you’re seeing them walking around much like you would do yourself in the shoe store. Critically these conversion videos don’t need to be highly produced. It really just needs to be exactly as if you’re in the storefront with a sales person talking through the insurance and outs of the product. It can work really well. Kate Toon: You’ve talked about this, and we’re going to have a great little grab that you’ve done in the show notes of the spend on videos, where you spend your money. Because I always thought that you would put that money into that conversion video. That’s where the money needs to sit, because that’s the one that’s doing the leg work. But you have a different pyramid. You start off with your brand awareness, you move down into the social sharing or informational videos as you talk about it, into conversion, and afterwards into delight videos which are follow up videos that keep people clicking. But you say the money goes into the brand awareness videos, is that right? Ben Amos: Yeah. I call it the inverse production rule for video content. Basically, you’ve described it there as an inverse pyramid, and what it looks like is, you think about that funnel shape that we talked about before with the top of the funnel being the wider end and then the bottom of the funnel being the pointy end. Brand awareness content at the top of the funnel, so you basically want to reach more people with your brand awareness content because it’s everybody who potentially could buy from you, and then at the bottom of the funnel you’ve got the sale taking place. It’s the pointier end. If you flip that around and you turn that pyramid upside down, we have the pointy end of the funnel at the top, and that aligns with the amount of video content you typically want to make, so the quantity of videos. So for brand awareness, top of funnel content, you want typically the least amount of videos, so this is where you need to put the highest spend. The highest production quality, the highest budget content should be created at the top of the funnel because this is where cold audiences are first engaging with your brand, typically. Ben Amos: Because they’re cold, this is your chance to really position your brand. Remember, the goal is brand awareness, brand positioning. To really position your brand as something of value that people want to engage with further. This is where in this noisy digital world we can cut through. Because if you just create a crappy little talking head video as you’re walking down the street, which is designed to be the first part of contact for a cold audience they’re going to scroll past because there’s 100 other like that. As you move further down the funnel then and you get to the conversion videos, this is where like that example of Zappo’s or Appliances Online you want basically a video for every single product line that you sell potentially. You want more video, but you want to spend less on each individual video. So production quality doesn’t need to be high, because people are already in your brand ecosystem. They’ve already got value from you and now they just want to get the answers that’s going to push them across the line. They don’t need to be wowed by production value, cinematic drone shots and whatever else, right? Kate Toon: Yeah, we were laughing before that I want to make a video of me walking through a corn field with my hand on top of the corn as a female entrepreneur making her way through the world. Anyway, I won’t do that. But I get what you’re saying, and I think we should also say that production value shouldn’t be a barrier to doing video, because look, even a crappy to camera video (we’re going to talk about some tech tools and some software at the end that make it easier) is better … Sometimes it’s not better than nothing, but you can achieve a lot on a very low budget. So don’t think you’ve got to go out and buy a drone, people, is what we’re saying. You don’t need to. Kate Toon: Let’s talk about this, because we’re talking about money and investment and we talked at the start of the episode about people having a hump of not wanting to do it because they don’t want to step out in front of their business or because they’re awkward. But the other hump I think a lot of people have is that they’re nov convinced that video is the thing. One thing that really helps convince people that something is a thing is a good old stat. Do you have any stats for us, Ben? Ben Amos: Oh I love stats. I could overwhelm you for days with stats about video, but I think the first thing you need to do is just look at your own engagement with content online and how many videos are being shared across every social platform. Pretty much every social digital online platform is a video platform these days. Everything from Trip Advisor is a video platform to LinkedIn’s now a video platform in and of itself, and obviously YouTube, Facebook, Instagram, they’re all video platforms. Twitter is a video platform in and of itself around other content. It’s 2019 this year, and it was about four years ago Sysko came out with a report that said by the year 2019 over 80 percent of all global internet traffic is going to be video. Now I don’t know if they’ve updated that stat yet, but we’re here. I think we probably are here, that the amount of video that is crossing internet bandwidth across the world is huge these days. That leads to two things. It tends to lead to overwhelm, a bit like what we talked about before, but you also get that avalanche of average content that you need to fight against, so this is where strategy becomes more important. But people are getting success with video. Ben Amos: Another report that came out this year by a company called Wise Owl talked about that 87 percent of businesses are now using video as a marketing tool. Are you in that 87 percent? That’s the question you need to be asking yourself. The other compelling stats as well is that I think it’s something like 72 percent of businesses have said that video has improved their conversion rate. Same report from the guys at Wise Owl. The stats are crazy. The stats are compelling. Video really needs to be featured in a marketing strategy these days in some way. You don’t need to go whole hog. You don’t need to go all out, but you need to be experimenting with strategically using video to see what sort of a difference it makes in your business. I strongly feel that. Kate Toon: Great, well I’m going to include those stats in the show notes. [inaudible 00:27:27] we’ve got a few other ones in there which you’ll find useful, so I’ll add all of those into the show notes, so if you need something to justify to your client or your boss that you should be doing video we’ve got some stats to back you up. Now, let’s get more into the nitty gritty. We’ve decided that we want to make video. We’ve put together a strategy going from brand awareness down through to conversion. We’ve worked out the number of videos we want to make. Let’s say we want to start with this brand awareness video. How do we structure it? 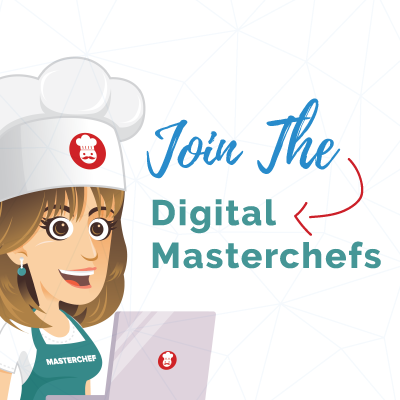 Shannon Morrison from my digital master chefs group says he has a scriptwriting background, and would you recommend with that brand awareness video that we go with a three act structure, like a beginning a middle and an end, or is there a different way to structure that video? How can we get people’s attention with that brand awareness video? Ben Amos: At the brand awareness of that customer journey is when you do need to be using storytelling like we talked about before, connecting emotionally with people and then moving them to take action, which is to move further to engage with your brand. That’s the goal of that sort of content. When we think about storytelling, all of those storytelling structural elements that people are probably familiar with, or if they’re not there’s countless resources out there to learn about story structure. Three act structure is one of those. But they all basically are based around the idea of hooking someone first. You need to hook people in with the pain that they’re feeling and then to drive them further through the story. A three act structure starts with that call to adventure where the character basically decides that they need to head off on an adventure and then they return back as a changed person. That’s a standard story structure, which we can go into. Ben Amos: But it all starts basically with that pain that that hero character’s feeling, and across all video types, whether it be a story type video or an education type video or even a sales conversion type video, I usually base around a simple structure of starting with the hook (which is hooding on that emotion, hooking on that thing that’s going to get someone to pay attention) and then you need to expand on the problem that they’re feeling. Then you need to agitate that problem further, and then provide the solution, which is usually your product or service or some piece of information, even if it’s just an educational video. Then you need some sort of a call to action. At its simplest form, whether it be a storytelling approach or any other type of content: hook, problem, agitate, solution, call to action is probably a good structure to get people started. Kate Toon: That’s perfect. Hook, problem, agitate, solution, call to action. I think with the hook, something that we’ve talked about before which really was a little light bulb moment for me was that we need to have a visual hook as well as an aural hook. We can lure people in with our copy, and yes lots of people will be reading the transcription, but we need to grab people’s attention. One thing that has change there, even changed since we originally spoke, is that I always used to start my video with my little queue intro, my logo, my animating thing. Which is kind of cute and engaging, but not as engaging as seeing a person. So now what I’ve done is I’ve got the first couple of minutes of my video is the … These are testimonial videos. The person talking about their big problem and then after about 20 seconds then I have my logo spinning around, and then I continue the story. And I’ve already seen a massive increase in the number of views and engagements with the video just because it’s starting with a face and starting with that person talking rather than starting with a logo. Do you have any other tips for a good visual hook at the beginning of a video? Ben Amos: Yeah. What you’re recognising there is that this noisy, fast paced digital world that our audience exists in is usually news feed driven as well. People are scrolling through their news feeds on various platforms, so you’ve only got less than three seconds to engage someone before they scroll past and move on. If that opening three seconds, which is the critical part of the hook, doesn’t connect with the audience in the right way and makes them realise this is something that they need to watch then they’re just not going to watch. You look at metrics like retention graphs, which you can see across all of those platforms, most of them anyway, you usually see a massive drop off right at the start. The data shows that in those opening seconds you go from 100 percent of people watching down to maybe it’s only two percent of people watching in one or two seconds. When you start with a hook that is engaging, visual, human connecting, which is where that human face that you’re talking about is super valuable, you start to see that graph just taper off a bit slower. That opening hook is so critical to getting people to watch. Ben Amos: Human faces is a great way to start, because people connect with people. Particularly if that person is someone that they may recognise, like a personal brand like yourself, Kate. But also the visual nature of that hook could be communicated through text on the screen or through something unexpected visually. I don’t know, wearing a silly hat or being in an exciting environment when you start your video, or even just the idea of if it is a talking and walking kind of video that movement of someone walking while they’re talking can actually be a great visual hook as well. That’s just important because people are usually watching at least initially with the sound off on these platforms. So visual, not just an aural hook. Not just saying something interesting. Kate Toon: Love that. Okay. Now that we have a kind of idea of how to structure our video, we’ve got our strategy in place, let’s get into the making it happen. Do you generally have a script for your video, or general outline? And do you put that on a teleprompter? I’ve found it almost impossible to use teleprompters. I cannot get into the habit of reading, so I tend to make a bulleted list of my hook, my problem, my agitate, my solution, or whatever I’m going to say, and I read it through before I make my video and then I try and go for it, but I allow myself to stop and start. I allow myself to maybe get 30 seconds out, stop, take a little breather, do another 30 seconds. Sometimes I get through the whole three minutes or whatever. What do you recommend for people starting out with video? Scripts, teleprompters? What works? Ben Amos: Again it’s going to depend on the type of video that you’re creating. If it is an educational or a social engagement video in that middle of the funnel that we talked about before, then it’s important to have a plan. You do provide value and you’re not just waffling, you’re not just wasting someone’s time with an unstructured thought explosion. Having some sort of plan. For you maybe that dot pointing kind of works where you’re talking around dot points, and with practise and skill that can work really well. For some people, myself included, scripting things out and using a teleprompter is actually a bit of a better approach for me, for example. The important thing is there I’m scripting it like I will say it, and that’s a skill in and of itself, that you’re actually using words in the way that you would actually speak. So you’re throwing in … Not throwing in ums and ahs and things like that, but you’re scripting out those linking words that flow sentences through together. You’re not writing beautifully crafted prose with perfect grammar because that’s now how people talk. At least that’s not how I talk, so you need to write it like you will say it. Ben Amos: If you are scripting it, reading it out loud multiple times beforehand so that you can figure out does my tongue get wrapped around that or does that not read properly, all that sort of stuff. There’s no right or wrong answer there. I would say that the main thing is you need to go into it with a clear idea of what value you’re going to communicate, whether it be scripted or dot pointed. Kate Toon: Okay, awesome. I’m going to include the little resource at the end of this podcast which is a video script template that you can buy from my clever copywriting store, which will take you through how to structure a video and break it all down and how to use visuals, so that might help people as well. Now, again, one of the things that people struggle with is getting through a three minute video or however long it may be, and having lots of little breaks where the head kind of goes like this and they don’t know whether to fade out or whatever. Is it okay to take a break and use transitions, or do you think that’s a bit awkward? How do you do that without it looking odd? Ben Amos: So there’s obviously different ways in the edit that you can hide some of those transitions, and they can be hidden quite seamlessly. A popular strategy with YouTube for example is what I call the jump cut, which is actually almost … It’s not a hidden edit, it’s basically cutting almost mid sentence because it adds that dynamicness to the video. The problem is that jump cuts can be overdone and they can be done badly, so it is something that needs to be practised and done well. But at its simplest form I think if you think about that structure we talked about before around the hook, the problem, agitate, solution, call to action. If you structured your video around that sort of structure you can have those natural breaks where you can stop and gather your thoughts as you move from one piece of that structure to the next, and putting edit points in there even if they are jump cuts or a fade or whatever it may be can actually … It feels more seamless. It feels more deliberate, because you’re transitioning from one part of the story or message to the next. You can think about it that way as well. Kate Toon: I think that really works. When someone’s giving a presentation or a Ted Talk, they use pauses for dramatic effect, so having a bit of a pause or a fade as you said creates a bit of delineation between point one, point two, point three. Problem, agitate, solution. The other I think that people struggle with is with these storytelling type videos, these brand awareness videos where maybe you’re talking about your journey or a customer journey, they sometimes fall a bit flat. What do you think people miss when it comes to storytelling? Why do these videos sound like someone groaning on? What’s missing? Ben Amos: The biggest thing is, people aren’t really understanding what makes a good story. The thing is with storytelling, people have engaged since they were little kids with stories, so we understand it almost subconsciously what it is in a story, or whether or not we engage with the story or not. We know a bad story when we hear one or see one. And often what’s missing in a bad story or a not an effective story is a clear story arc or an element of conflict. Because without conflict a story is boring. It’s not engaging. You think about good stories for example, if Luke Skywalker basically just instantly knew how to do the Force, like he’s this prodigal Jedi and he’s like, oh yeah, I know how to fight these guys … He didn’t have a story arc where he needed to learn and fail and learn again and be helped along the way by different mentors, that makes for a good story. But if he just instantly figured it out then it wouldn’t be a good story. Ben Amos: Finding those elements of conflict I think are really important, and where people struggle from a brand storytelling perspective is injecting conflict. Some of the simple ways to do that is to think about, what are you fighting against? What is the enemy? And painting a picture through your storytelling of what would happen if someone doesn’t buy from you or engage with you or learn from you or whatever it my be. Painting a picture through your storytelling of what’s at stake for someone, I guess. That’s critical to bringing conflict into a story. Kate Toon: Yeah, so having your arc, having conflict. I think another thing is trying to avoid cliches. I see a lot of these storytelling videos on LinkedIn and they all have the same story: I had no money, I was down to my last dollar, I was living in a bin, and then I discovered X and now I’m a millionaire. We’ve heard it all before. You can tell within the first couple of seconds that this is a story I’ve heard before, so vary up the story. There are seven types of story, and I’ll include this list in the show notes. And the seven kinds of story, they do apply to business: overcoming the monster, whatever that monster might be. It might be your own internal monster or some external competitor. Rags to riches, which is the one we see an awful lot of. The quest, where someone’s given a challenge and they go off and try and meet that challenge. The voyage and return, the comedy, and I think it’s good to tell your funny stories too. Your tragedy, it’s really important to tell your sad stories, and your rebirth. What happened to you that made you have a whole new life. Those are all really important, but one important thing I’ve heard you say many a time is, it’s not all about you. I think you’re quoted as, you’re not the hero of your story. What do you mean by that? Ben Amos: That example you shared that we see, we’ve all seen so many times around, maybe on LinkedIn or whatever platform around someone telling their backstory, and maybe they’re positioning it as a rags to riches kind of a story, that I used to be here and I was on my last dime and now I discovered this amazing system and now look at me, I’ve got a seven figure business or whatever. That’s a rags to riches story, sure, but it’s not engaging to me because I don’t care about your story. I’m actually the hero of my own story. Every day I wake up, I open my eyes, I’m looking through my camera, you know? My eyes. Kate Toon: Very proud, yeah. 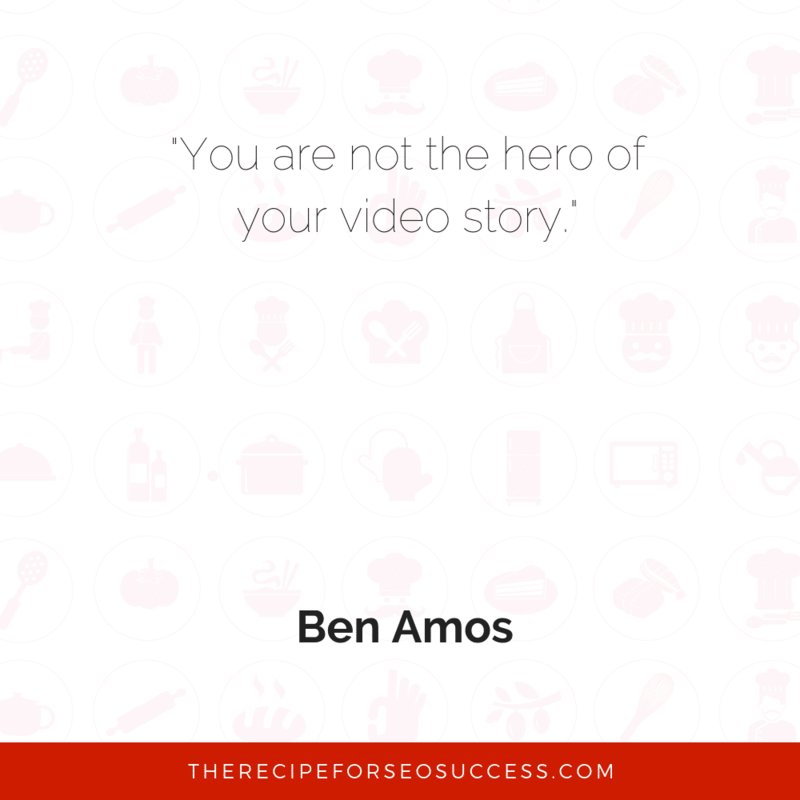 Ben Amos: I’m living out my own story, so I’m the hero of my story and your audience is the hero of their story. So as a brand or a business, you don’t want to be trying to say that you’re the hero of their story, because they don’t care. Yeah, exactly. You’re not the hero of your story. At the end of the day you are the god, you should be the mentor or the person who helps that hero (which is your audience, your customer) achieve something and live a better life. So if you can tell your stories through a different filter, positioning yourself in that way, it’s going to be much more engaging for someone else to engage with. Kate Toon: It’s so funny because this is something that we talk a lot about in copywriting, as you’re copywriting, that it’s not all about you. I call it the we we test, where you read through your copy and the number of times you talk about we, we are a great company that do this and we do this for you, and instead you need to flip it around and it needs to be you. You have this problem, you need this, and then yes, we can help you. We can be your Obi Wan Kenobi to your Luke Skywalker. I was just thinking as well, it would have been a really bad story if Luke had just met his dad and been like, hey dad! Darth would be like, hey Luke! He had to have his arm cut off. That was important. It was an important part of the journey. So cut off your arm, people, in a video. That would be a really good hook. Kate Toon: Next thing, let’s talk about practicalities. How do we do this thing? Do we buy a camera and some backdrops? Do we stand, do we sit? What are the essentials for getting started with making maybe not the top super production value videos, but just any kind of video? Ben Amos: The essentials are probably in your pocket or sitting on your desk right now, which is your smart phone. Good smart phones these days or any smart phone really is a decent quality video camera. Sometimes 4K or above as far as resolution, so the quality of the cameras in your smart phone is more than enough to get started. Don’t wait till you’ve got the greatest camera or the next best DSLR or that you’ve got enough money to hire a videographer or whatever it may be. To just get started, obviously you need to get a strategy in place first, so we’ve already established that, but technically you’ve already got the tool that you need to get started. Now of course you can add more to that with very minimal spend around particularly improving the audio quality. The audio quality straight out of a smart phone camera is not particularly good. Certainly it will do, but you can buy a road video mic or road smart lav insert, a few different types that I recommend there, so little microphones that plug into your smart phone and away you go. And some sort of paying attention to lighting as well is … If you wanted to really step things up a bit more, of course natural light, the light coming in from your window or outside can be manipulated and used to make you look good. Ben Amos: That might be all you need. That’s free, right? Or you can buy some various bits of lighting, which again, relatively cheap, but don’t let any of that other stuff bog you down and prevent you from getting started. Kate Toon: Yeah, exactly. I’ve made several videos on my iPhone. I’ve got a little app called Adobe Spark which I’m enjoying playing with at the moment. Obviously if you’ve got Apple you’ll also have iMovie on there which you can edit your videos a little bit. I got a very cheap ring light off Ebay for $100 which just makes me look slightly less hideous, and I use Camtasia on my desktop to edit my videos. I do a lot of it myself. Occasionally if I do need to make some higher level videos I will get a video production company to do them. And obviously the quality is just that bit better. Obviously quite a lot better, because they’ve got all the kits and the lights and the soft boxes. But I think you can build up to that, and I think there’s a lot to be said for just making something. You can do a pretty good job j with the basic tools, so don’t let it hold you back as you said. Kate Toon: They’re really hard to watch. Ben Amos: Absolutely. There’s a few things that will instantly ruin your video no matter what equipment you’re using, which is unstabilized which is wobbly, shaky … It’s just hard to watch. Even if you are moving around, using a selfie stick can add a bit of stabilisation to your camera. Or just propping your smart phone up on something so you’re not hand holding it can make all the difference. And the other things is audio, like we talked about before. Rubbish audio will turn people off straight away, so doing whatever you can. Just be in a quiet place. If you’ve got nothing else but your smart phone, think about the ambient noise around you. Traffic, air conditioning, kids, whatever it may be. Kate Toon: Yeah, exactly. Another thing to talk about obviously is that we’ve mentioned that a lot of people are watching video with the sound down, so we need to be including subtitles, transcriptions, whatever we call it. What’s your advice around doing that? I’ve been using Rev to generate SRT files. Most of the platforms allow you to upload those with your video. Do you have any advice on that? Ben Amos: Yeah. Particularly when you think about strategically approaching the distribution channels you’re going to use … With any video that you’re going to create, I talk about understanding what the primary distribution channel is for that video. If the primary distribution channel is one of these primarily sound off platforms, like Facebook, Instagram, LinkedIn, then you do absolutely need to be producing those videos with a sound off audience in mind. That means creating videos with burnt in captions where you can’t … Burnt in captions means it’s actually text which is in the video, so they’re usually across the bottom of the video. Sometimes they’re produced in a square format with a headline at the top and then text across the bottom, so that means that even if someone hasn’t got their captions or subtitles turned on on the platform, they’re still able to engage with the video with the sound off. But if the primary channel is YouTube for example, that’s not the right approach. You don’t want burnt in captions on YouTube, but you do need to be creating and uploading an SRT file or a subtitle file for search engine benefits, as I’m sure you’ll recognise, Kate, but also for those people who are turning the captions on and watching with captions enabled or closed captions enabled. So, important to understand the primary distribution channel for every video and producing with that video’s native language in mind. Kate Toon: Do you have any software or apps you recommend for those burnt in captions? Because not all the platforms do that. Does iMovie allow you to do that? Ben Amos: Any video editing software will. It can be quite a manual process of adding titles and effectively typing in or copying and pasting a transcription you might get from Rev.com. There are some plugins and some software for some more top of the range Final Cut or Adobe Premier software, which you can take an SRT file (which is your subtitle file) and it’ll generate the captions for you. But for most people if they’re doing that they’re either doing it themselves and they’re adding the titles one at a time, which can be quite laborious. 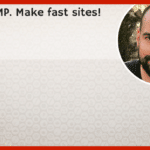 There is actually a great tool by a friend of mine called Gideon Chalwick, which is [Splasheo 00:49:34]. Splasheo used to basically create those groovy animated title sequences like you might have. But they’re actually … It’s a manual process I believe where you just pay for a subscription. I think the minimum is four videos in a month, and they’ll do it for you. They’ll transcribe them and they’ll add in those captions for you and send them back ready to go. I don’t have the pricing on that, but go to Splasheo.com and you’ll be able to figure that out. I don’t think it’s too long until some of those other software platforms will start to have that ability to do that automatically, but for now it is pretty much a manual process. Kate Toon: Fantastic, well I’ll include a link to Splasheo in the episode. It got a little free shout out there, which is great, because gosh, nobody wants to be sitting doing that. I can’t think of anything more tedious than adding subtitles. Look, Ben, I feel we could chat all day and we haven’t even got to some of the things that we wanted to talk about in this episode. We wanted to talk about delight videos, we wanted to talk about how to get your videos out there, and obviously there’s a lot of value I would love to talk about in terms of how to make your videos SEO friendly on YouTube and other channels, so I think we’re going to have to have you back for a second episode so we can cover off all this other stuff. Would you be willing to come back? Ben Amos: Sure, I’d love to. I love talking about this stuff. Kate Toon: Yeah, you can tell. As I said, I’ve already picked up some game changing ideas from you and I hope that the listeners to the show have too. So look, as you know at this time in the episode I like to give a shout out to one of my lovely listeners, and this week it’s MSOH, and the testimonial says Kate has a refreshing, enthusiastic approach which makes this dry, nerdy stuff really interesting. Thank you! I think video is slightly less nerdy than SEO. Video’s a bit cooler I think, Ben. Do you agree, maybe? Ben Amos: Yeah, but you can nerd out on this stuff too. Kate Toon: Yeah, you can nerd out on a lot of things. And thanks to you for listening, my lovely listeners. If you like the show, please don’t forget to leave a five star rating and review on iTunes or Stitcher or wherever you heard the show. 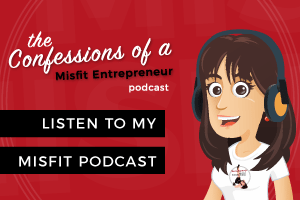 Your review will help others find it and learn more about the world of digital marketing and search engine optimization, and you’ll get a shout out on the show. Now, please do head to the recipeforseosuccess.com where you can learn more about Ben. 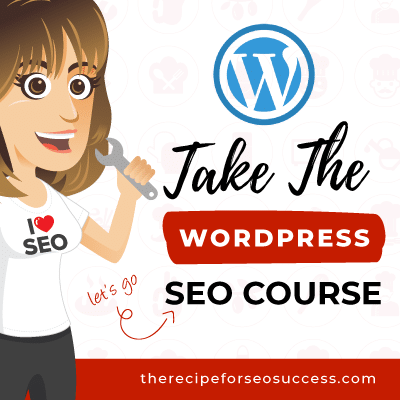 We’ve got links to some of his fabulous free courses and resources and also his really excellent podcast where you can learn so much more about video and using it to market your business. 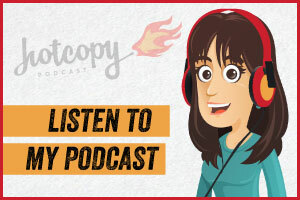 And finally, don’t forget to tune in to my other podcast, the Hot Copy podcast, a podcast for copywriters all about copywriting, hosted with the lovely Belinda Weaver. Thank you Ben! Ben Amos: Thank you Kate, it’s been fun.